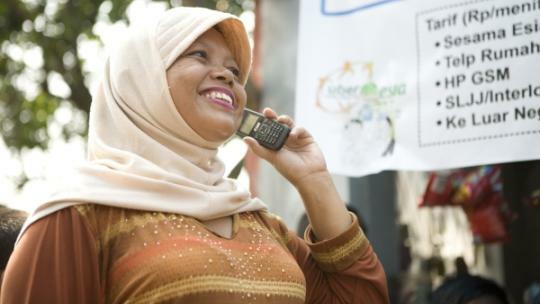 For a few years now, all eyes have been on Indonesia as a potential growth country for mobile money and branchless banking. The market potential is obvious – with an enormous population (250million), a large number of unbanked (40-60%), booming mobile ownership and challenging geography, it seems like a clear winner. But every attempt has come across an obstacle – regulation. Banks are unable to use agents to provide accounts, so cannot build low-cost agent networks. The big telcos have all received licenses for electronic money and remittance services, but have been unable to capitalise on them. An article in the Electronic Money regulation (Bank Indonesia Regulation Number 11/12/PBI/2009) prohibits outlets from “cashing out” e-money unless that outlet has a remittance license. This has effectively limited mobile money services to operating through large organised retail chains and telco’s own outlets, excluding small owner-operated businesses. In some recent good news for e-money operators, this last restriction appears to have been lifted. The Regulation on Funds Transfer 14/23 /PBI/2012 has a specific provision, Article 4, that says that Cash Payment Points (Tempat Penguangan Tunai or “TPT’s”) are allowed to provide a cash-out service without requiring a funds transfer license. Although this regulation doesn’t specifically mention e-money, it is covered as one of the “record keeping” systems as specified in the definitions of this regulation. This change will cover cashing into or out from a customer’s own wallet, but it’s still not clear if it would cover “over the counter” or “wallet to non-wallet” transactions. Bank Indonesia is working on a circular to help clarify these points which is expected in the coming quarter. In recent months, representatives from Bank Indonesia have made some significant statements on their desire to see more innovative and financially inclusive services from both banks and mobile operators. While banks are still awaiting promised guidelines on branchless banking, it’s good to see the sorts of transactions available to e-money providers expand and I look forward to seeing e-money issuers and funds transfer providers take advantage of this change. The regulation in Bahasa Indonesia is available here. An unofficial English translation is available here. Thanks for the post Mike. Great to see some positive progress. We are all excited about the fantastic prospects for branchless banking in Indonesia! Watch for payment innovations to be focused in these these commercially viable islands. 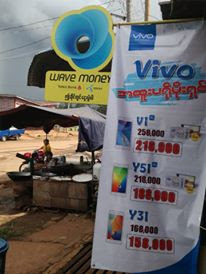 Further to the above- a local MNO, XL has teamed up with Western Union to do remittance to m-wallet and cash out at mini-mart chain Alfamart. Congratulations Michael, this is great news!